Keep Seeing 11:11 Around ? What Is 1111 Meaning & 1111 Angel Number? You may have seen unusual patterns of numbers when at home, driving to work, or in places that you visit. While numbers play a part in everyday life from street addresses to phone numbers to game scores and more, there are times when numbers appear at random that have distinctive patterns. For thousands of years, numerologists have used numbers to help explain the daily events in our world. However, angel numbers have a different significance that reaches directly to the individual. The number sequence of 1111 or 11:11 for example, is one of the more prominent number combinations that have appeared people around the world in the form of sales receipts, change you receive from a purchase, random number generations when purchasing lottery tickets, or seemingly out of the blue. In whatever circumstances you see the numbers 1111 or 11:11, it carries a meaning that goes beyond this world. It is an angel number that you need to pay attention as it may represent an opportunity or turning point in your life. For those who see and take advantage, it is possible that you can receive dividends from your actions which provide a positive boost to your life. Contact between this world and what lies beyond in an indirect process where messages may have to be signaled through the use of number combinations. Everyone has a guardian angel who works every day to guide you towards success. Communication from you to your guardian angel works well through prayer as they listen and do their best to respond to your needs. Angel numbers date back many years and are tied in some ways to numerology. Over the centuries, numerology has been used to help guide people in their lives, provide direction, and show where opportunities exist with the connection between the physical and spiritual world. Angel numbers are tied into the Christian belief in angels and how the protect both worlds from harm. However, communication from your guardian angel to you is less direct. This is where angel numbers come into play. 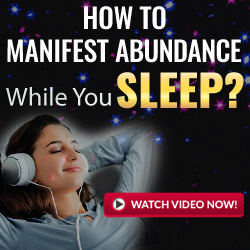 They signal that something important is on the horizon, something that will require your attention if you are to take advantage of the opportunities that life provides for you. Or, to avoid potential pitfalls that you otherwise may not be aware. Life is about choices and while you are responsible for your actions, your guardian angel will assist if you know how to listen. This is where angel numbers, such as 1111 come into play. There are other angel numbers as well, usually combinations of the same number that are repeated four times. Or, they are different number combinations that may have a special meaning unto their own. In any case, you will need to learn and understand the significant number combinations and be aware of when they appear, so you can act accordingly. 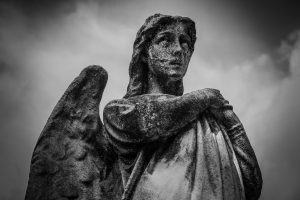 What Does Angel Number 1111 Meaning? This is a unique number combination, not often seen, but it does have considerable significance. On Earth, the numbers 1111 or 11:11 may be most associated with the ending of World War I, which was known as the “Great War”. The armistice that ended the conflict went into effect at 11pm on the 11th day of the 11th month or November 11th. Today in the US, the day is celebrated as Veteran’s Day. However, as your angel number, 1111 serves as a wake-up call or a “code of consciousness”. In essence, the 1111 may carry no specific meaning apart from letting you know that something is about to happen, and you should be prepared. It may be something truly significant or it may be an opportunity that provides benefits. Whatever the case, when you see the numbers appear in some random setting, you should start preparing to take advantage of what might be a life-changing event. Although 1111 or 11:11 have been associated with world events, such as the aforementioned ending of World War I, this does not mean that the known appearance of the angel numbers, such as on the clock or calendar, will mean that your guardian angel is trying to connect with you. It simply means that it is 11:11am or pm or November 11th as the case may be. True angel numbers appear for no predetermined reason and as such cannot be manipulated into happening. This is because the numbers come from an outside source reaching into our world. It is up to you to see and recognize the numbers for what they mean. What to Do When You See 1111? Now that you’ve seen the 1111 or 11:11 number combination, what steps should you take to prepare yourself for what is about to occur? Since you will probably not have any advanced warning or insight into the exact event or circumstance itself, you will have to mentally prepare yourself for whatever may occur. The number sequence appeared for a reason, so you will need to focus your thoughts on the positive and be aware of your surroundings. Because your thoughts will be received by your guardian angel, you will need to be more disciplined in how you think and what messages you want to send. If you are happy with the thoughts that are being sent, then you should receive some type of new event or manifestation in your life. It may be small, it may be large, but something on the horizon is waiting to happen. However, if you are not receiving anything, then you should examine your thoughts and try to focus more on the positive. Negative thoughts can get in the way of communication between you and the universe which includes your guardian angel. The numbers 1111 are often associated with an awakening of your spirit, a sense of greater belonging to the beyond. This is a good sign because it means that you are becoming more spiritually aware. 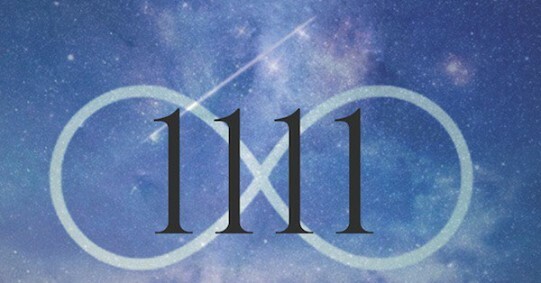 One theory about the appearance of the 1111 angel number is that your soul is more open and aware of the afterworld, so it is easier for your guardian angel to communicate with you. Because thoughts are energy, your soul manipulates it and opens the door for greater communication. When you see the number, your thoughts should be positive and focused on a goal that you have in your life. Perhaps you want to change careers, try new things, or bring about something positive for you or someone close to you. This is the time to focus your thoughts and think about the change that is about to occur. Your thoughts will be read, and the university will take your ideas and attempt to manifest them in your world. While you may not be in any immediate danger, you should consider the number sequence to be a significant moment that you must take advantage. Keep in mind that your guardian angel has no ill will towards you. However, you may miss out on opportunities or positive changes in your life if you are not aware of what is happening and filling your mind with positive thoughts. Opportunities come and go, so you will need to be prepared. If you should miss your opportunity, you at least have the peace of mind knowing that another may come around. Remember, your guardian angel is working for you, so there will be other times when you can take advantage when the unique number alignment shows up. It is when people see the 1111 number that they immediately start making wishes and hoping they will come true. While this is an opportunity to make a change in your life, there is a difference between making a wish and doing something positive which offers a course correction to your life. A wish is generally associated with something that bypasses the considerable work needed to otherwise make it come true, such as becoming a millionaire overnight or meeting the man or woman of your dreams. Having said that, you can use the opportunity to help you reach your goals. For example, if you are trying to make a side business earn more money, then you can combine your wish with the hard work that you have put into making it happen. The good fortune does not magically happen, but rather it takes advantage of an opportunity that may make it happen easier. When you see the angel number 1111 or 11:11 or 1111 meaning, especially more than once in a short time frame, you should be aware that a gateway has opened between you and your guardian angel. Now is the time to act by filling your mind with positive thoughts, being aware of your surroundings, and awakening your spirituality, so you can be ready for the change that is about to happen.